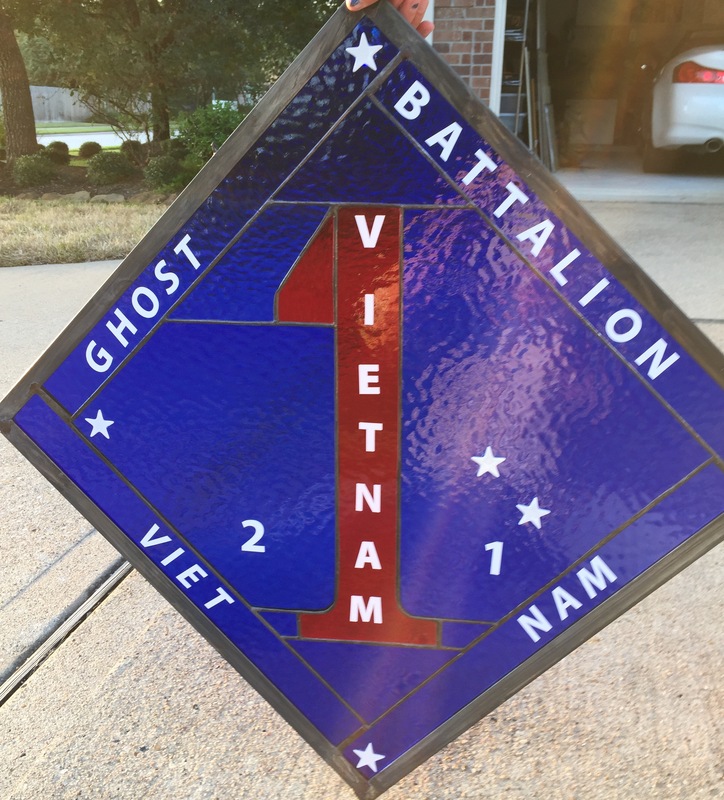 Vietnam Ghost Battalion 2-1 Piece. It measures 20″ x 20″. Made with bright hammered blue and red! For more information please contact me at (713) 899-0933!! This entry was posted on October 27, 2015 by alliekayglass. It was filed under Military Emblems, Stained Glass and was tagged with 1, 2, batalion, Blue, ghost, Glass, Hammered, Red, Vietnam.